Argentine writer-director Ana Katz keeps the mood appealingly low-key in this semi-sweet study of a disbanding family on vacation. There’s a lot of narrative in even the most uneventful family vacation. Removed from the daily domestic grind and cast into a shapeless routine of idling and ambling in unfamiliar surrounds, intimate tensions are placed in stark relief, and the mood can swing with the ocean tides from giddy togetherness to no-one-understands-me exasperation. And on even the most blissful getaways, you’ll swear at one point — if only for a split second — that you’re never doing this again. “Sueño Florianópolis,” a wry, rambling, suitably sunstruck group character study from Argentine writer-director Ana Katz, gets this, and makes that erratic emotional ebb and flow its structural M.O. 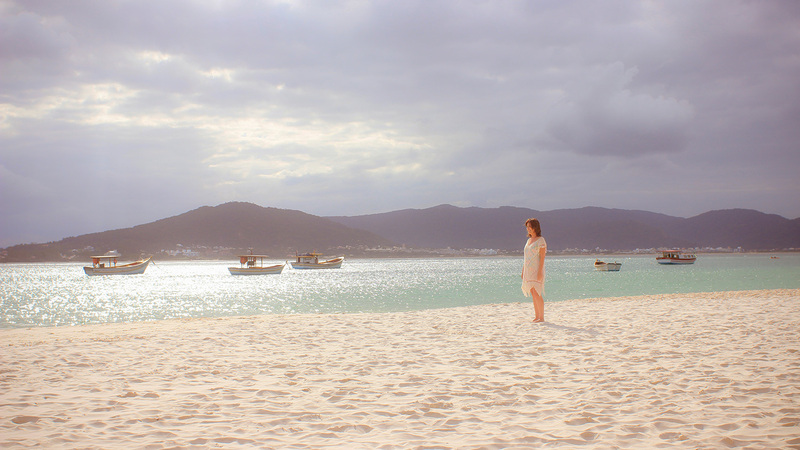 Premiering in competition at Karlovy Vary, “Sueño Florianópolis” (the title translates as “Florianópolis Dream,” though the film maintains its Spanish appellation in English-lingo materials) is largely consistent with Katz’s oeuvre thus far in its gentle, thoughtful probing of everyday events and their more revealing implications. Thanks not only to its idyllic Brazilian coastal location, however, it’s one of her easiest, breeziest efforts, bright and bittersweet in equal measure. That could net it the wider international distribution that somewhat surprisingly eluded her last feature, 2016’s fine, Sundance-awarded slow-burner “My Friend From the Park.” Festival bookers, meanwhile, will keep the film’s passport amply stamped. “This is another Florianópolis, completely different from the previous one,” Buenos Aires-based wife and mother Lucrecia (Mercedes Morán) ruefully observes to her husband Pedro (Gustavo Garzón), a few days into their stay at the mellow Brazilian island city that gives the film its title. Of course, it’s not the place that has changed all that in the 20 years since they last visited, early in their marriage, before the arrival of their now-teenage kids Julian (Joaquin Garzón) and Flor (Manuela Martinez). They have, though, and what was once a haven they associated with blissful romantic union now offers them a little more individual breathing space. Those possibilities take an unexpectedly immediate form when they arrive at their destination and are effusively welcomed by Marco (Marco Ricca), the genial, Speedo-wearing proprietor of their rustic, secluded cabana. Blind to the family’s initially standoffish signals, Marco is keen to integrate them into his local community of friends and family, including his directionless son Cesar (Caio Horowicz), to whom Flor takes a swift shine, and his earthy ex-girlfriend Larissa (Andrea Beltrão), to whom Pedro is more tentatively attracted. Most surprising of all is the unlikely chemistry between Lucrecia and Marco, cutting through differences in both personality and language. It’s a setup that could play out as broad bedroom farce, but Katz’s interests are more empathetic and naturalistic than that: At the center of this slow-spinning lovers’ carousel are four adults (or near-adults) all tasting independence in contrasting, occasionally conflicting ways, growing oddly closer as they learn to be further apart. If the family dynamics on screen feel notably textured and authentic, there may be more than one reason for that: Katz’s loose, chattily perceptive script was co-written with her brother Daniel, while the young actors playing Julian and Flor are, respectively, the real-life children of their onscreen father and mother. They make for a disarmingly intuitive ensemble even at the family’s most fraught moments, embellishing their limber dialogue with interruptions, overlaps and silences that feel pleasingly off-the-cuff. Gustavo Biazzi’s relaxed, roving camerawork is fully in sync with the languid, to-and-fro rhythm of the piece, drinking in the pleasures of the gorgeous scenery without working overtime to contrive travelogue prettiness. Indeed, all the craft contributions are on much the same laid-back page, with a special mention due costume designers Sandra Fink and Diogo Costa for their witty, keen-eyed casualwear: It’s a film in which even the swimsuit of each character, however ostentatious or time-faded, says a little something about them. Reviewed at Karlovy Vary Film Festival (competing), July 4, 2018. Running time: 106 MIN. PRODUCTION: (Brazil-Argentina) A Campo Cine, Prodigo Films production in co-production with Groch Filmes, Laura Cine, Bellota Films in association with Film Factory. (International sales: Film Factory, Barcelona.) Producers: Nicolás Avruj, Beto Gauss, Camila Groch, Diego Lerman, Ana Katz, Francesco Civita. Executive producers: Avruj, Gauss, Groch. Co-producers: Dominique Barneaud, Adrien Oumhani. CREW: Director: Ana Katz. Screenplay: Katz, Daniel Katz. Camera (color): Gustavo Biazzi. Editor: Andrés Tambornino. Originally published at Variety.com by Guy Lodge.